Jeff advises and represents businesses and their owners in the formation of corporations and limited liability companies, the purchase and sale of businesses, the preparation and negotiation of contracts, and the resolution of disputes between and within businesses. He has a wide range of litigation experience representing businesses in matters involving contracts, commercial disputes, lien enforcement, fraud and unfair trade practices claims, and leasehold interest disputes concerning defaults, constructive evictions and guarantor liability. Jeff also counsels business owners concerning business insolvencies, restructuring and personal asset protection planning. 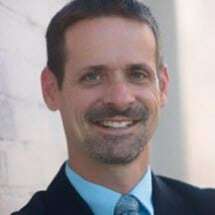 A native of Greensboro, Jeff holds a Bachelor of Arts degree in political science and economics from the University of North Carolina at Chapel Hill and a law degree from Wake Forest University School of Law. Jeff is a member of the Greensboro and North Carolina Bar Associations. In the community, he has served on the board of directors of Buckled With Love, Inc., a local nonprofit advocate for child safety seat protection, and has volunteered his professional services to other nonprofit organizations including Triad Health Project and the Adolescent Pregnancy Prevention Campaign of North Carolina. Board of Directors of Buckled With Love, Inc.